UGA freshman defensive back Shaquille Jones has been dismissed from the team, head coach Mark Richt announced today. 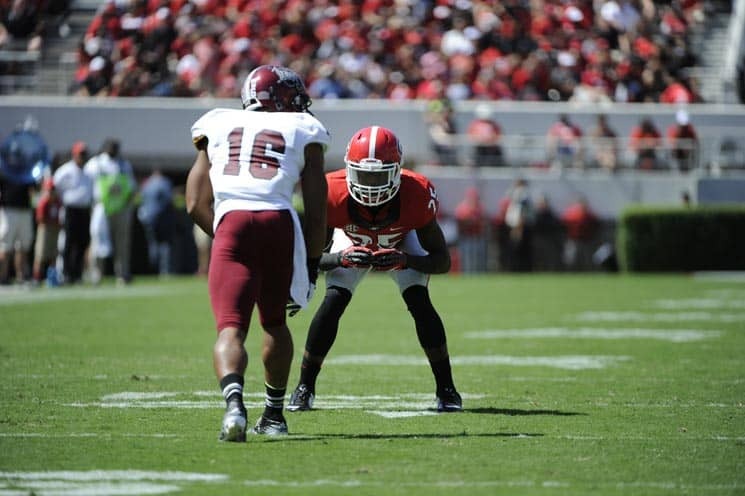 The release mentioned that Jones had not played in a game this season, but he is pictured as having lined up at cornerback against Troy (see above). A reason for the dismissal was not stated. However, a Shaquille DeAndre Jones, DOB 1996, of Merritt Island, Florida was arrested this afternoon by the Athens-Clarke County Police Department for misdemeanor theft by shoplifting. He was booked into jail at 2:16pm and released at 4:53pm after posting a $1,500 bond. Shaq Jones (6-2, 176) was committed to Louisville, but flipped to UGA and signed with the Bulldogs back in February. 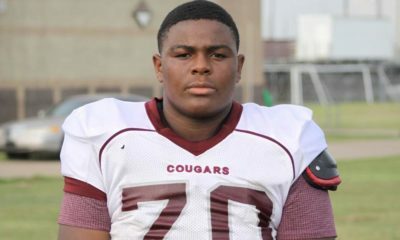 247Sports rated Jones as a 2-star recruit, the No. 198 cornerback, and the 334th overall player in Florida. 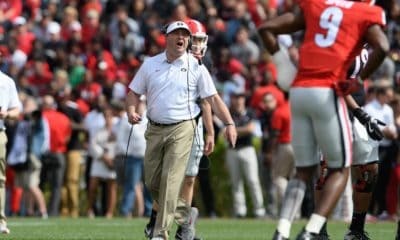 Rivals.com rated Jones as a 2-star recruit, while Scout.com rates him three-stars. 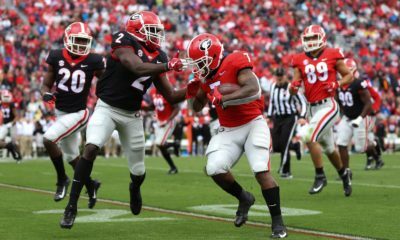 Jones is the fourth defensive back to be dismissed from the Bulldogs this year. 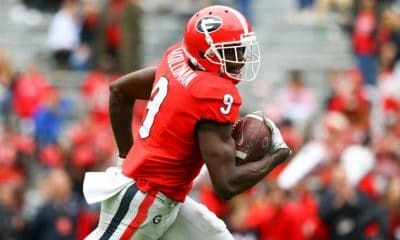 He joins safeties Tray Matthews (now at Auburn) and Josh Harvey-Clemons (now at Louisville), and cornerback Shaq Wiggins (also at Louisville).